Weekend Wrap-up: Sunday of Summer. I mean it. I really do. August is the Sunday of summer. Now that the olympics are coming to a close, everyone I know outside of work is going back to school, and all I see are school supplies and B2S signage in stores... I know that the fall is vastly approaching. What am I supposed to watch on TV now that the olympics are over? LOL. 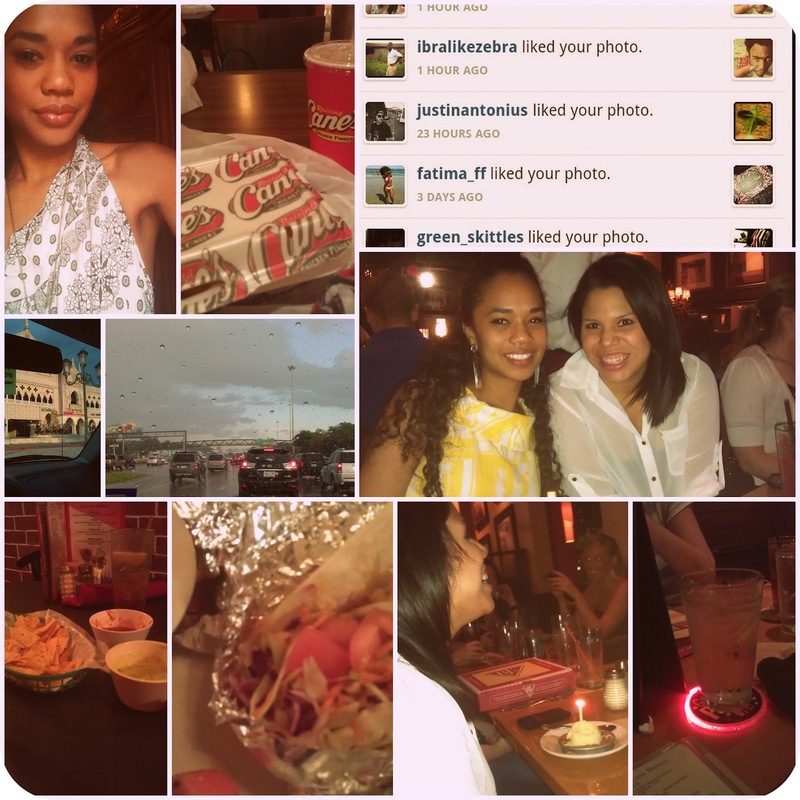 Photolog L-R: Rare self-portrait// OMG I love Canes Chicken, thank God for putting one in the Houston Galleria. // Ibra liked one of my photos on Instagram (I'm malibumara there too) and it made my life. // This place is fancy// Rain just won't let up// The Bestie and I on her B-day! I look disgusting. // CHIPS AND SALSA. Only my favorite food group // Fish tacos. I LOVE THEM // Pizookie from BJ's. // Isn't her coaster cute? Happy B-day Jacquie! TBH I really only care for the SPICE GIRLS at the closing ceremonies. Sigh, memories of my childhood. Slamming my body down and winding it all around. I hate playing Spice Girls with my friends though because I was always Scary Spice... for obvious reasons. Well Olympics, see you in Rio 2016. @IKINTOO LOL. Its ok. I'm gonna leave it. I can't wait either, there is no way I can survive going 4 yeats to the next olympics without seeing his face. these video photos are so cool!!!!! i like it!!! if you want we can follow each other on facebook and gf ? let me know ;)! The Spice Girls looked so good at the end! All of them but Posh seemed so happy to be there, haha why is it that she can never smile!? Checkout my blog if you get a chance, and follow if you like!